"Oh mmm I know a place/ Ain't nobody cryin'/ Ain't no body worried," Mavis Staples sings on "I'll Take You There." She might as well be singing about the Live Oak Music Festival—the place to be to usher in summer and relax with fellow music lovers near Lake Cachuma this Friday, June 15, though Sunday, June 17. Staples will close out the festival on Sunday evening in what promises to be an amazing show. 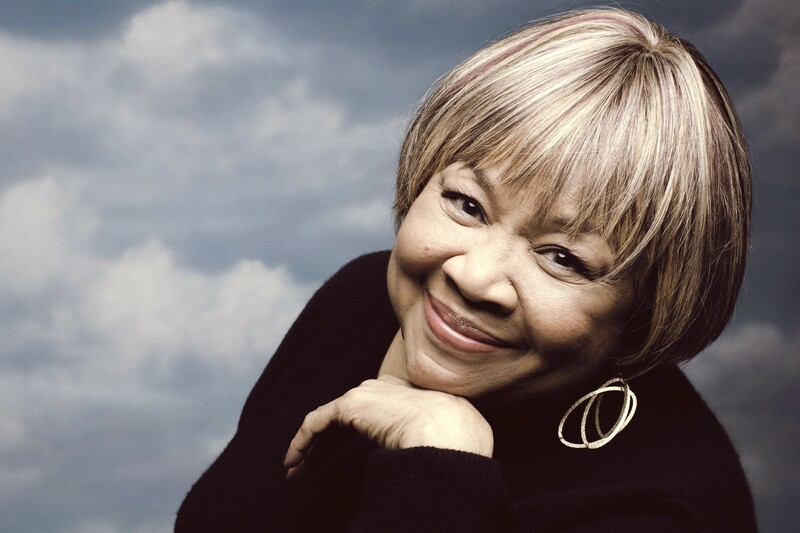 R&B GODDESS Gospel, R&B, and blues legend Mavis Staples closes out the final day of the Live Oak Music Festival, June 15 through 17, at Camp Live Oak. Staples' voice is as stellar as her life—a full, rich, complex, and celebratory thing. The 78-year-old started her professional career at age 11 as part of her family band led by patriarch Roebuck "Pops" Staples and featuring her siblings Cleotha, Yvonne, and Pervis. Starting in 1950, the mostly gospel group sang in churches and on a weekly radio show. Their first big hit was 1956's "Uncloudy Day" on the famed Vee-Jay label, and they were given the moniker "God's Greatest Hitmakers." Thanks to Pops' relationship with Martin Luther King Jr., The Staple Singers became the musical voice of the mid-'60s Civil Rights movement, covering songs such as Bob Dylan's "A Hard Rain's a-Gonna Fall" and Stephen Stills' "For What It's Worth." Political songs likes "Long Walk to D.C." and "When Will We Be Paid?" helped land the group on Stax Records in 1968, where they were accompanied by Booker T. and the MGs. Between 1971 and '75, they scored a string of Top 40 hits such as "I'll Take You There," "Let's Do It Again," and "Who Took the Merry Out of Christmas?" The Staples were a talented family, but Mavis stood out and began releasing solo albums in the late '60s on Epic Records and Curtis Mayfield's Curtom label. Later, in the late '80s and early '90s, Prince would release two Mavis Staples solo albums on his Paisley Park label. In the 2000s, she landed on Alligator Records. Lately, she's been on ANTI-Records. Over the years, this Rock and Roll Hall of Fame and Blues Hall of Fame inductee would work with the likes of Bob Dylan (Who asked her to marry him. She said no!) to The Band, Ray Charles, Prince, Nona Hendryx, George Jones, Natalie Merchant, Los Lobos, Dr. John, and the list goes on. Her voice has been sampled by a ton of hip-hop acts too. She's legendary! It's going to be a terrific culmination of an excellent weekend because this year's festival has a heckuva line-up! 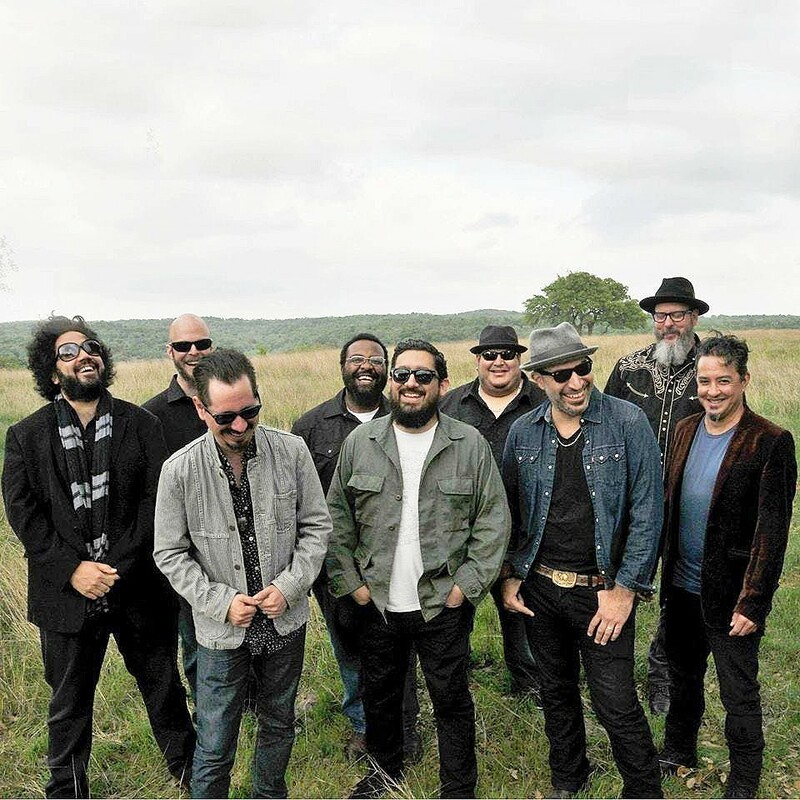 A special pre-festival concert featuring Michael Franti & Spearhead with opening act Próxima Parada is scheduled for Thursday, June 14; the festival officially opens on Friday, June 15, with the Bryan Titus Trio, Niki J. Crawford, JD McPherson, and more. On Saturday, June 16, Joe Purdy, Con Brio, The Dustbowl Revival, Big Bad Voodoo Daddy, and others are on the bill. Before Staples closes out Sunday, June 17, you can hear Jody Mulgrew, Flavia Coelho, Eileen Jewell, The Coffis Brothers and The Mountain Men, and more. Get the entire festival lineup, all the details, and ticket and camping pricing at liveoakfest.org. Come for the whole weekend, come for one day, bring the family, fly solo—whatever suits your fancy. It's supposed to be in the high 70s in Camp Live Oak, off Highway 154 near Santa Ynez, so not too hot this year! Don't miss this year's Live Oak Music Festival! GET STOOPID ON THE BEACH Rock, reggae, punk, hip-hop, and more act Slightly Stoopid plays the Avila Beach Golf Resort as part of their School's Out for Summer Tour, on June 14. 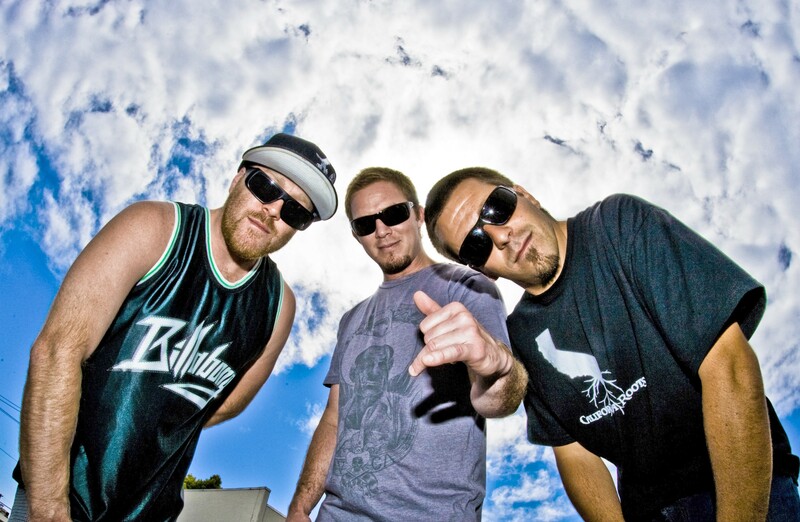 Slightly Stoopid plays the Avila Beach Golf Resort as part of their School's Out for Summer Tour, on Thursday, June 14 (5:30 p.m.; all ages; $43.03 to $84.78 at eventbrite.com), with Stick Figure and Pepper opening. Slightly Stoopid mashes rock, reggae, punk, hip-hop, and more into their signature party sound. This should get the beach buzzing! 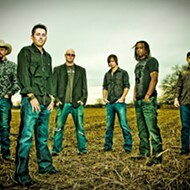 Journey Unauthorized plays Saturday, June 16, at The Siren (8 p.m.; 21-and-older; $16 presale at ticketfly.com and Boo Boo's, or $20 at the door). This is the premiere Journey tribute act, playing on-point versions of hits such as "Don't Stop Believin'," "Wheel in the Sky," "Only the Young," "Party's Over," "Lovin' Touchin' Squeezin'," and more. HEAVY HITTERS Latin funk and breakbeat act Brownout bring their Fear of a Brown Planet tour to The Siren on June 19. Super heavy funk act Brownout brings their Fear of a Brown Planet tour to The Siren on Tuesday, June 19 (7 p.m.; 21-and-older; $16 presale at ticketfly.com and Boo Boo's or $16 at the door). The Austin-based nine-piece Latin funk and breakbeat group puts on an exhilarating live show! Buckethead returns to the Fremont on Friday, June 15 (9 p.m.; 16-and-older; $30 at eventbrite.com and Boo Boo's). The virtuoso guitarist and multi-instrumentalist will deliver a blistering evening of progressive metal, funk, blues, jazz, bluegrass, and avant-garde music. He's called Buckethead because he "used to wear a KFC bucket on his head, emblazoned with an orange bumper sticker that reads 'FUNERAL' in capital black block letters, and an expressionless plain white costume mask," according to his bio, but "more recently, he has switched to a plain white bucket no longer bearing the KFC logo. He also incorporates nunchucks, robot dancing, and toy trading into his stage performances." One thing that hasn't changed is he's still a guitar shredder! 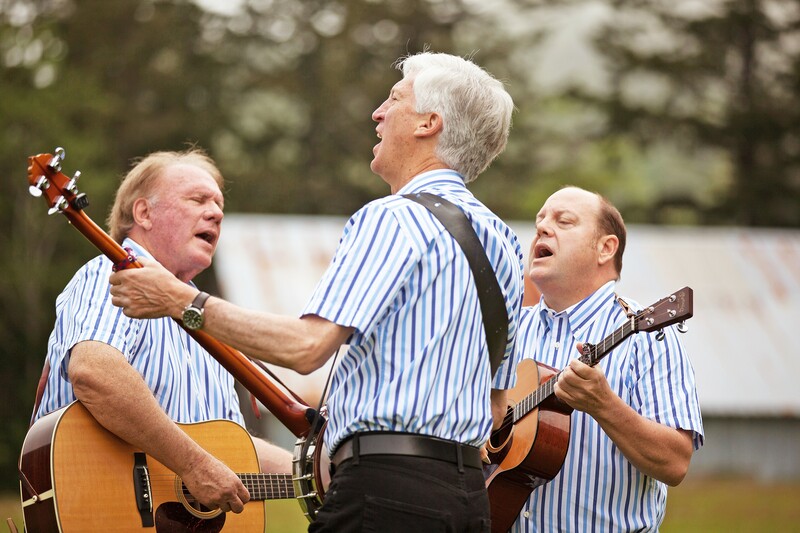 'TOM DOOLEY' Mike Marvin, Tim Gorelangton, and Josh Reynolds (son of original member Nick Reynolds) are The Kingston Trio, playing the group's hits on June 16, in the Fremont Theater. Iconic folk heroes The Kingston Trio play the Fremont on Saturday, June 16 (9 p.m.; all ages; $25 to $40 at eventbrite.com and Boo Boo's). 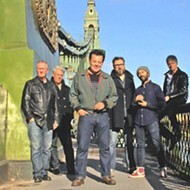 This year marks the group's 61st anniversary, and though the three original members have passed on (except for Bob Shane, who at 84 no longer performs), the current lineup keeps it in the family with Josh Reynolds—son of original member Nick Reynolds—performing with Mike Marvin and Tim Gorelangton. Expect the hits, such as "M.T.A.," "Tom Dooley," "Scotch and Soda," "Greenback Dollar," "A Worried Man," and more. 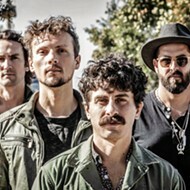 Sun-drenched California indie-pop act Fialta plays Concerts in the Plaza on Friday, June 15 (5:30 p.m.; all ages; free) in the SLO Mission Plaza. Made up of two married couples, the multi-instrumentalists are great songwriters! The Last Stage West and Toro Creek Event Center welcome back award-winning Native American artists The Cody Blackbird Band this Friday, June 15 (6 p.m.; all ages). Blackbird—of Eastern Band Cherokee and Roma descent—plays traditional Native American flute, which he blends with blues and classic rock. He's also the son of Thomas Blackbird, "an accomplished American Indian Cowboy poet who traveled the country through the '80s and '90s," according to his bio. 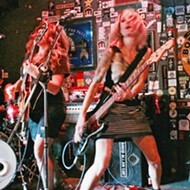 FOURSOME Local pop, rock, and folk act Carbon City Lights plays Sea Pines Golf Resort on June 16. 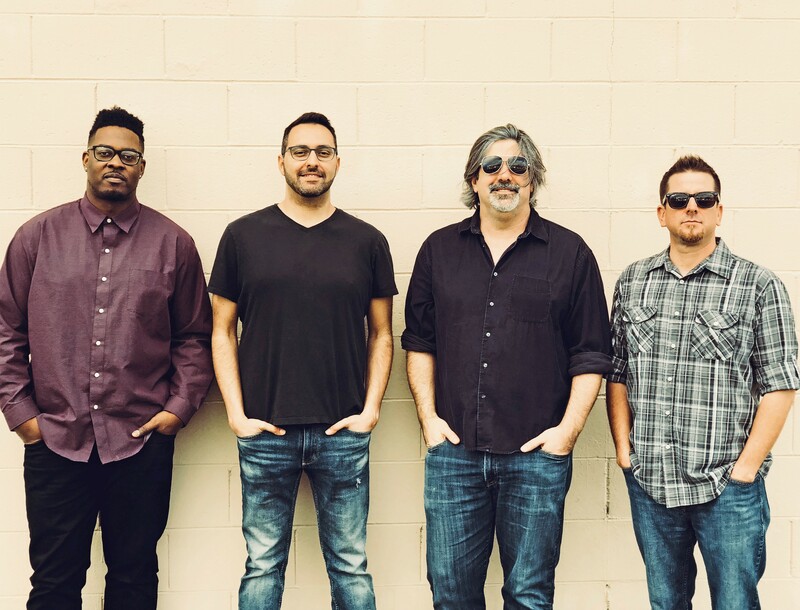 Groovy local alt-rock act Carbon City Lights plays an outdoor concert on the green at Los Osos Sea Pines Golf Resort this Saturday, June 16 (2 to 6 p.m.; all ages; free). They're new to our area but have six albums to their credit, which—according to their press materials—"ring with influences of Dave Matthews Band, Pearl Jam, and Coldplay." 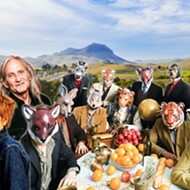 Deep-voiced Sam Pace and the Gilded Grit play the Frog and Peach Pub this Sunday, June 17—a stop on their 60-date North American tour in support of their new album Judgment Eve. Pace's new video for his song "Undertow" revels in a dark blues with a gritty Nick Cave vibe. 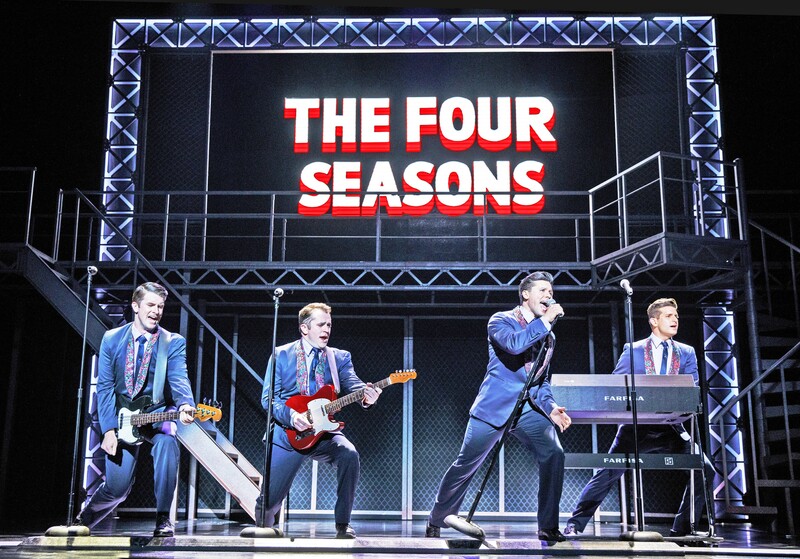 'WALK LIKE A MAN' Tony, Grammy, and Olivier Award-winning hit musical Jersey Boys, the story of Frankie Valli and The Four Seasons, comes to Cal Poly's Performing Arts Center for two nights, June 19 and 20.